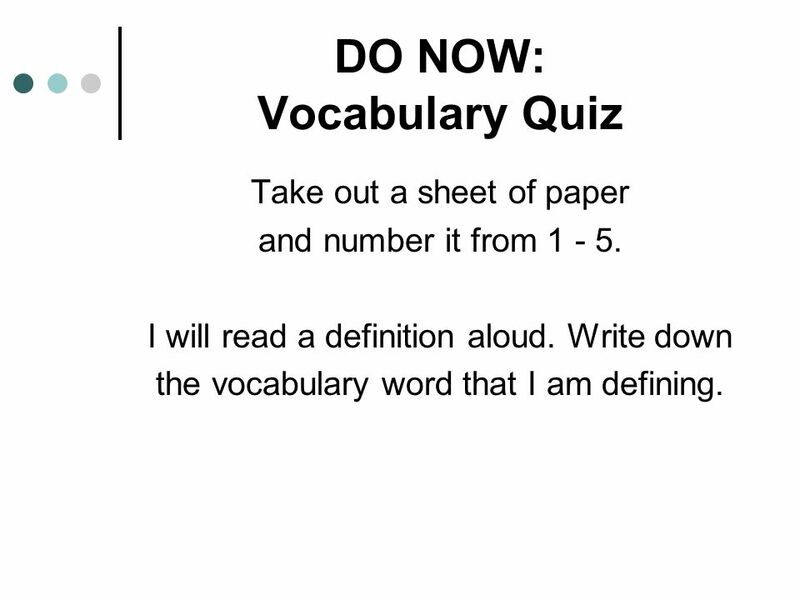 DO NOW: Vocabulary Quiz Take out a sheet of paper and number it from 1 - 5. I will read a definition aloud. Write down the vocabulary word that I am defining. 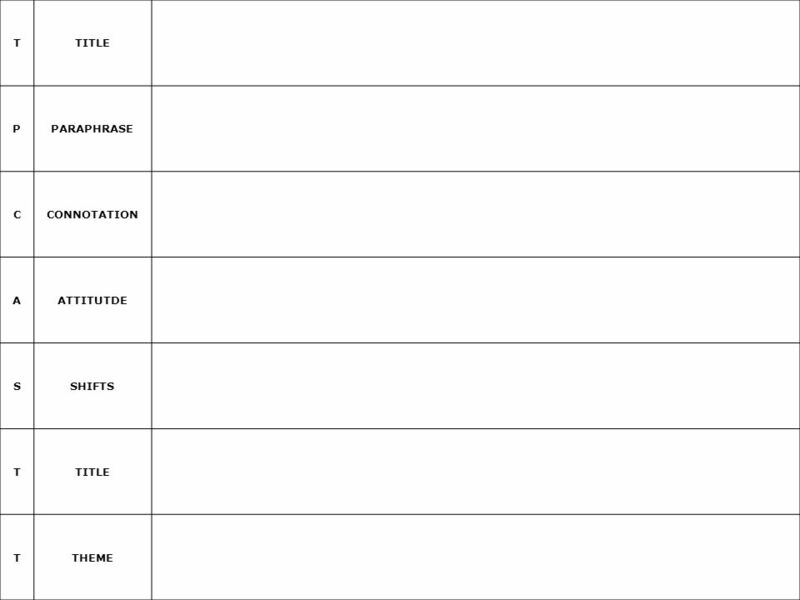 1 DO NOW: Vocabulary Quiz Take out a sheet of paper and number it from 1 - 5. I will read a definition aloud. Write down the vocabulary word that I am defining. 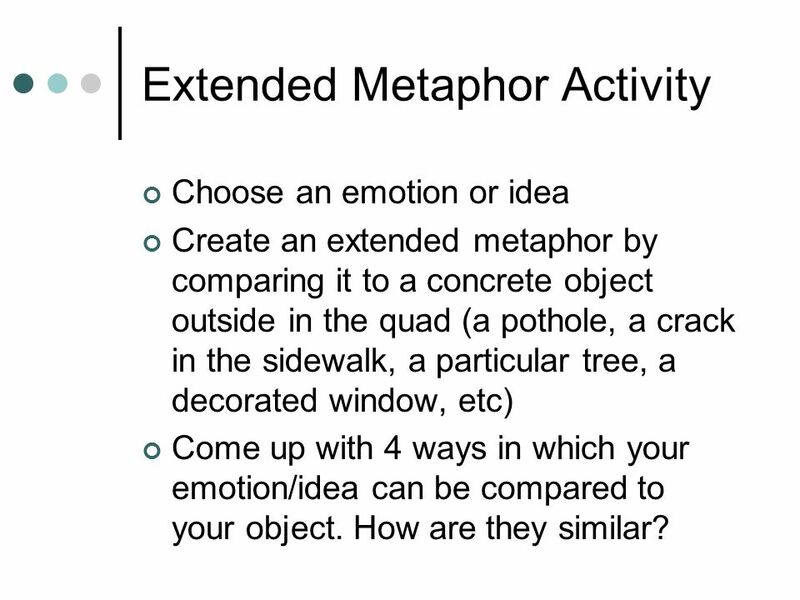 8 Extended Metaphor Activity Choose an emotion or idea Create an extended metaphor by comparing it to a concrete object outside in the quad (a pothole, a crack in the sidewalk, a particular tree, a decorated window, etc) Come up with 4 ways in which your emotion/idea can be compared to your object. How are they similar? 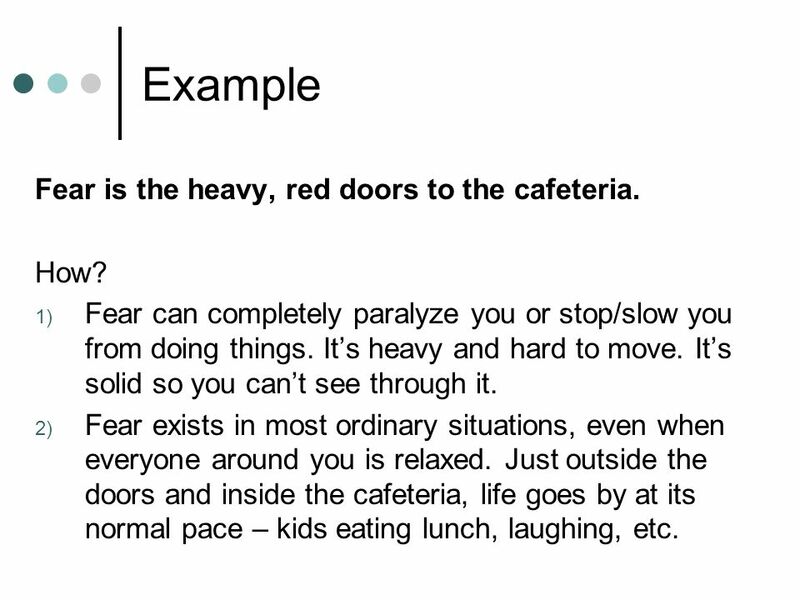 9 Example Fear is the heavy, red doors to the cafeteria. How? 1) Fear can completely paralyze you or stop/slow you from doing things. Its heavy and hard to move. Its solid so you cant see through it. 2) Fear exists in most ordinary situations, even when everyone around you is relaxed. Just outside the doors and inside the cafeteria, life goes by at its normal pace – kids eating lunch, laughing, etc. 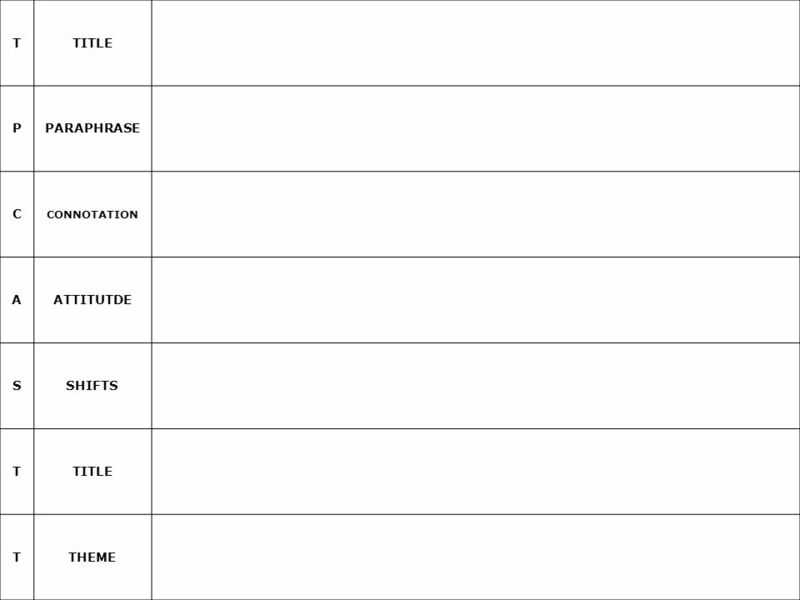 Download ppt "DO NOW: Vocabulary Quiz Take out a sheet of paper and number it from 1 - 5. I will read a definition aloud. Write down the vocabulary word that I am defining." DO NOW Complete the Grammar Bytes! section of your packet. Be prepared to share your answers. Book2 Lesson 14 What Are They Doing? What Are They Doing? 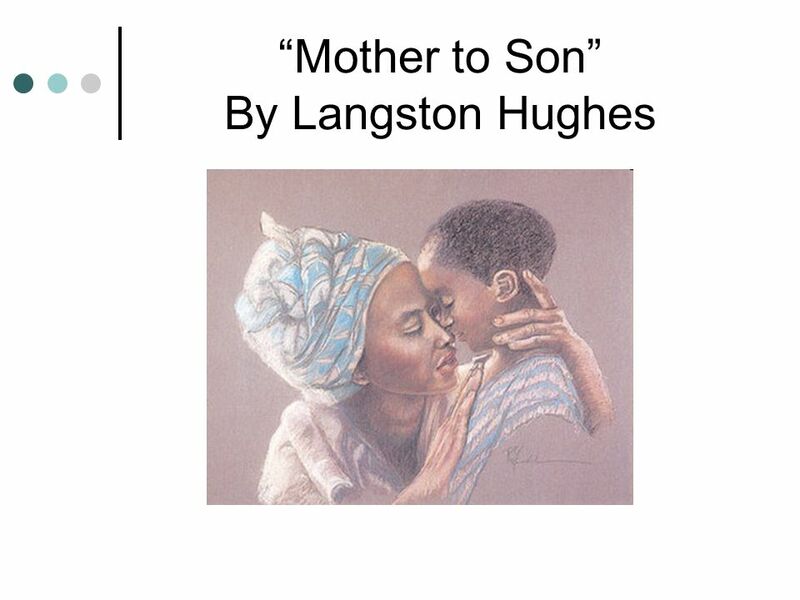 A poem to look at I, Too, Sing America by Langston Hughes. 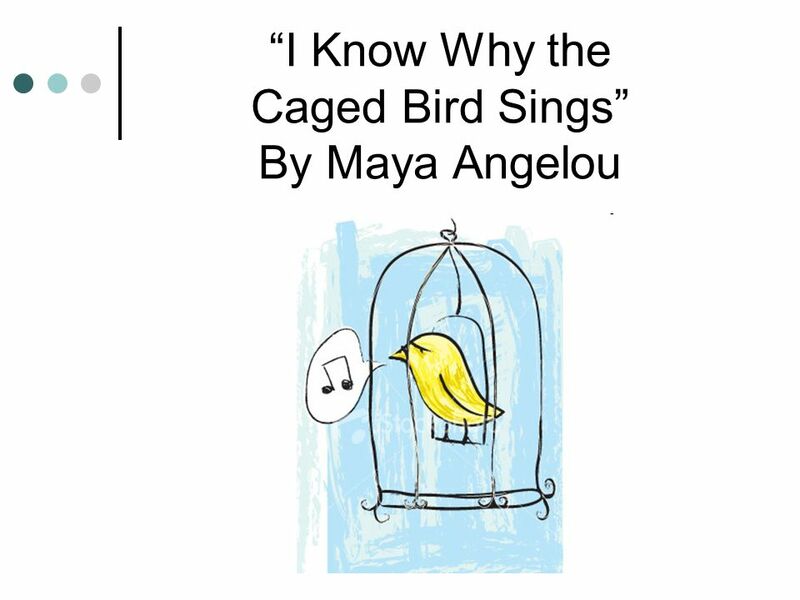 Poetry preassessment on 1/10/13 8th Grade English. Written & illustrated by JOSEPINE.M WELTENS!!! Click to start. 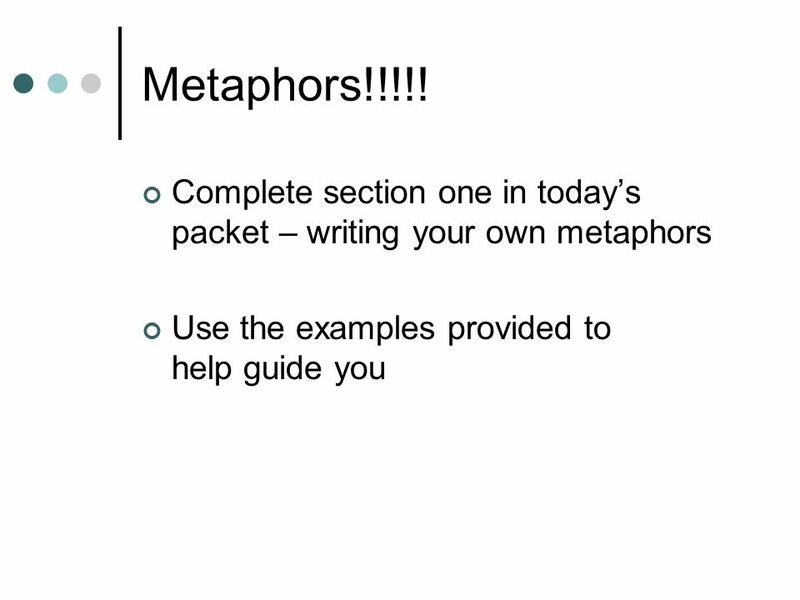 Learning Objective: 4L2 In the lesson you will determine the meaning of phrases used in poetry by analyzing figurative language. What are we going to do? Say what you have done: Example: Open the door! BY: KJERSTA UNZEN AND KAITY O’HARA What Kind of Fool Am I? 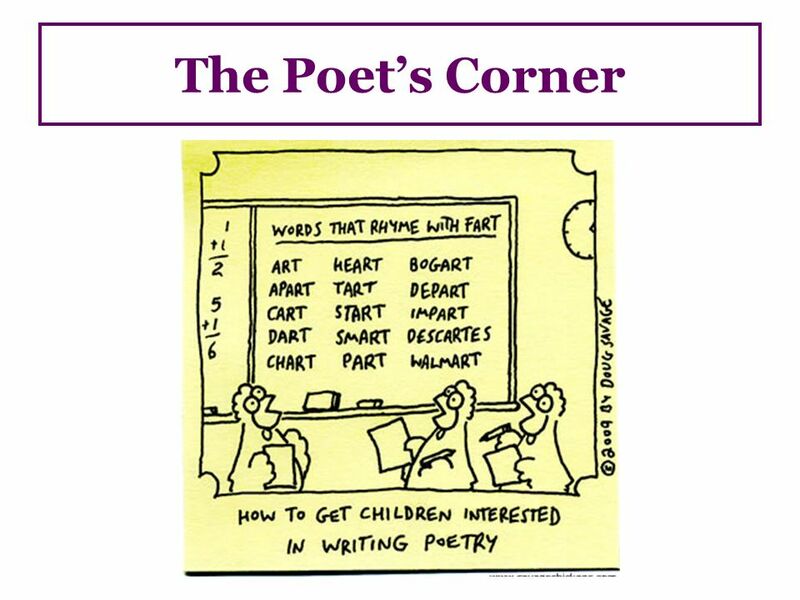 The Poetic Form A Review. Poetry Analysis Refugee in America. TPCASTT for “The Bells” T-Title T: Predict the TITLE What do you think the title means? Poetry. TP-CAST T-Title Ponder the title before reading the poem. Make a prediction.